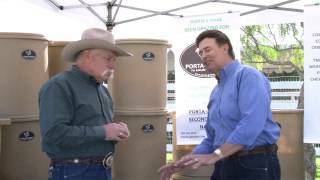 If you’d like to share YOUR video of your horse(s) using Porta-Grazer™ please send us an email with the link to your video! We would love to share it in our collection! To view each video click on the picture and a pop up window will appear with the video in it. To close the video when finished click on the X in the lower right hand corner. 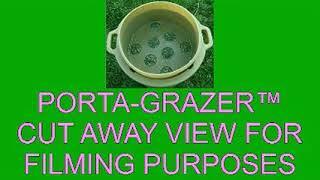 Introduction to the natural grazing system. All videos can be watched at the size they are at, or in full screen mode. Not a gory video, very good watch! THIS is why we strive to feed our horses better! Very informative video on how we feed affects the digestive system. 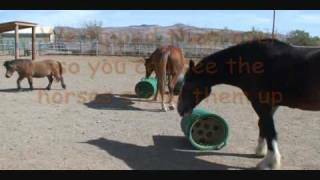 Digestive system imbalance due to how horses are fed. 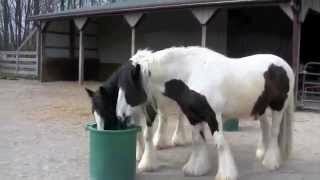 Quick video showing the signs of what founder/laminitis looks like.